Each year, Pavé previews the upcoming road season with a countdown of the top-20 teams in the sport. We entered the top-5 yesterday with Garmin-Cervélo. We pick things up today with #4. In my first draft of this year’s Preview, Rabobank was one of the top-3 teams. But over the past few weeks, it’s become apparent that Matti Breschel’s knee injury—while not getting any worse—isn’t getting better fast enough to guarantee that he’ll be at full strength (or even participate) in the Spring Classics this season. It might seem harsh to penalize an entire team’s ranking for one rider’s injury, but you’re talking about the top 3 to 5 teams in the world (which we are), losing someone as talented as Breschel is a major blow—enough to knock even this talented squad down a notch or two. But despite Breschel’s convalescence, Rabobank’s already won eight races this season—three of them thanks to Robert Gesink’s impressive overall title at the Tour of Oman last week. In a perfect world, the rest of the team’s season will go as smoothly as it did in the Persian Gulf. The team won 4 of the race’s 6 stages, with Theo Bos sprinting to two stage wins and Gesink taking the summit finish atop Green Mountain and the ITT on his way to the GC victory. 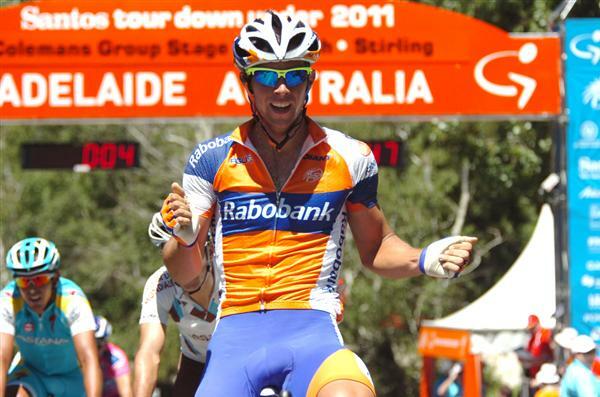 Not to be forgotten is Lars Boom’s Prologue win in the Tour of Qatar one week prior. But before we get ahead of ourselves, let’s begin with the rider from whom Rabobank’s success usually originates—Oscar Freire. Freire turned 34 last week, but appears to show no signs of slowing down. 2010 was meant to be his swan song, but after a win Mallorca and two wins in the Ruta del Sol, it was clear the tiny Spaniard was loaded for bear. A third win in Milan-San Remo soon followed, as did a win in Paris-Tours in October. Freire is off to his usual winning ways this year as well. Despite going winless in Mallorca, he opened his account today in Stage 3 of the Ruta del Sol. After a trip to Tirreno-Adriatico, look for the Spaniard to once again challenge for victory in San Remo. From there, he will probably head to Pais Vasco where before making his bid to win another Ghent-Wevelgem title. Last year’s newer, tougher course seemed to catch Freire off-guard—but I don’t expect to make the same mistake twice. In the Ardennes, Robert Gesink will lead the squad, with Luis Leon Sanchez, Paul Martens, and Bauke Mollema helping him out. Gesink’s riding with a new sense of confidence—as evidenced by his win in Oman. Arguably one of the most talented riders in the peloton, there’s no ceiling to his potential. In the Ardennes, Fleche might suit him best right now as it’s a bit more tactically simple, but don’t rule him out in Amstel or Liege—especially if he’s not the top favorite. From there, all eyes will be on the Tour de France where Gesink will lead the team with Sanchez playing the role of capable lieutenant. For quite some time I’ve been waiting for Sanchez to reveal himself as a true GC contender, but he seems more content hunting for stage wins and finishing the race comfortably inside the top-10 or 15. As for Gesink’s Tour chances, anything’s possible. While the yellow jersey in Paris might be a bit of stretch, a place on the podium certainly isn’t—especially if the improved time trialing he displayed in Oman proves to be more than a mirage. Let’s not forget: Gesink finished sixth last year while riding for third-place finisher Denis Menchov. He likely had a bit more freedom to ride for himself than his teammates, but one has to think Menchov’s presence hindered Gesink at least a little bit. Then again, Tour captainship often proves to be too much for some riders—does Gesink have the mettle? We’ll see in July. By August, I expect Sanchez and Barredo will be using their Post-Tour fitness to steal a summer classic or two, with the Vuelta on the list for both. Gesink might make an autumn return here depending on how he fares at the Tour, or he might choose the autumn Pro Tour/Italian semi-classic route he took last year. And to cap things off right where they began, we’ll all be talking about Oscar Freire by October as he attempts to win his fourth world title on a flat course in Copenhagen, Denmark. But he’ll have to watch-out for two teammates: Breschel (if healed) and young Australian Michael Matthews, a rider who’s already taken some pretty big sprint scalps and looks set for a fantastic career. Man of the Hour: Holland’s been craving a Tour contender for decades now; they might have found the best one yet with Robert Gesink. Climbing’s never been the issue with Gesink—he’s one of the best in the world. On the other hand, he’s about as aerodynamic as a sail and has suffered against the clock throughout his career. It won’t take much—especially if Andy Schleck’s the Tour’s top favorite—but he’ll have to improve if he wants to win. Oman was a start—can he do it on a flatter course? On the Hot Seat: Matti Breschel did a lot of talking during last year’s Classics—now it looks as if he won’t even participate this year. Should his knee not heal in time for him to make a go of it, the pressure will be on him this summer and fall. A world title certainly wouldn’t hurt—Breschel should be extra-motivated to take the win in front of his home crowd. Up-and-Comer: Michael Matthews won last year’s World U23 Championship and promptly took his first professional race at Stage 3 of the Tour Down Under. With three more top-5’s in Algarve, the Aussie’s clearly on the fast track to field sprinting’s upper echelon. Watch out for him the classics as well—something tells me his true potential lies on the pavé. Best Pick-Up: It’s incredible that we made it through the entire Team Preview with hardly more than a mention of Luis Leon Sanchez. But don’t be fooled, Sanchez will win several races for Rabobank, possibly as soon as Paris-Nice in two weeks time. A talented all-rounder with a nose for the right break, Sanchez is always a threat in shorter stage races, hillier one-day events, and of course, Grand Tour transition stages. He should make his new employers quite happy. Biggest Loss: While many—including myself—think he’s a bit over-rated, Denis Menchov did win the Vuelta, the Giro, and took third in the Tour while riding for Rabobank. Over-rated or not, results like that are hard to replace. This entry was posted in Featured, Teams and tagged Breschel, freire, gesink, luis leon sanchez, matthews, menchov, rabobank, season preview. Bookmark the permalink.